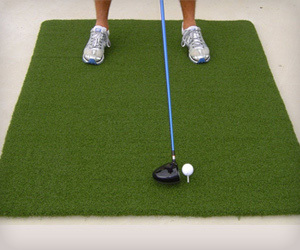 Here is the best Golf mat your would need for endless practice. This Golf mat has big size 4′ x 5′ and is 1.250″ thick. Best part is the ability to hold real wooden tee that allows you to choose different clubs you want to hit at different heights.